CGI Communications will be the new title sponsor for the Rochester International Jazz Festival, festival officials said Tuesday. Marc Iacona, festival co-producer and executive director, said in a statement that CGI will succeed Xerox Corp., which has been the festival’s title sponsor since 2009. "We thank the Xerox team for 10 years of outstanding partnership and are grateful for all their support that engaged our fans and enhanced the festival’s mission in countless ways," Iacona said. CGI Communications is a digital marketing company that is headquartered in Rochester and employs more than 350 full-time staff with branch offices in Chicago, Indianapolis, Richmond, Louisville and Knoxville. The festival’s executive director, Marc Iacona, says he and co-producer John Nugent really enjoyed the long relationship with Xerox, but are happy to also be signing this new three-year agreement with CGI Communications. Iacona says having a new title sponsor will not change the creative control that the organizers have over the jazz festival. CGI's Chairman and CEO Bob Bartosiewicz, hopes the relationship with the jazz fest can extend beyond that time fame. 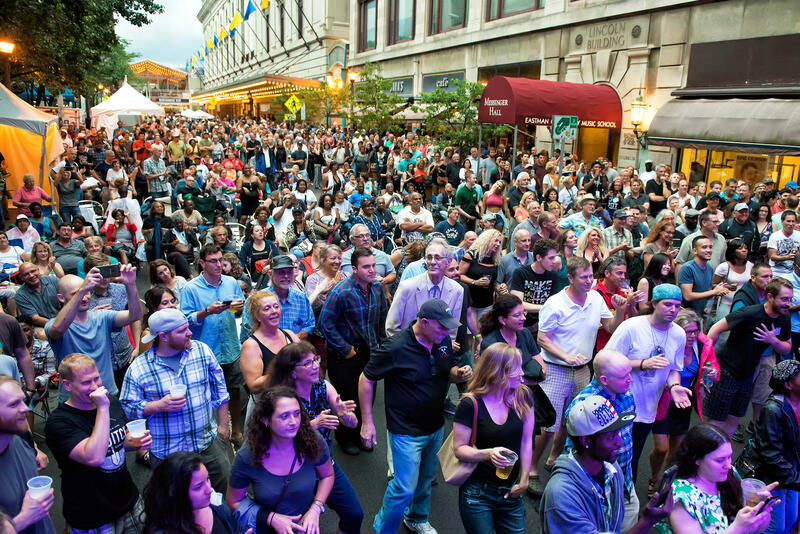 “What we want to showcase as a company, (is) that we are privileged to be in the downtown of Rochester, we’ve seen the downtown renaissance of Rochester and one way of giving back also is by becoming the title sponsor of the jazz fest , so that’s why we like it and that’s why we did it." Next year’s CGI Rochester International Jazz Festival will be held June 21 - 29.